With her signature acerbic wit and captivating insight, the author of the wildly popular Straight Up and Dirty offers a powerful and beautifully stark portrait of adolescence While she is pregnant with twins, one sentence uttered by her doctor sends Stephanie Klein reeling: "You need to gain fifty pounds." Instantly, an adolescence filled with insecurity and embarrassment c With her signature acerbic wit and captivating insight, the author of the wildly popular Straight Up and Dirty offers a powerful and beautifully stark portrait of adolescence While she is pregnant with twins, one sentence uttered by her doctor sends Stephanie Klein reeling: "You need to gain fifty pounds." Instantly, an adolescence filled with insecurity and embarrassment comes flooding back. Though she is determined to gain the weight for the health of her babies—even if it means she'll "weigh more than a Honda"—she can only express her deep fear by telling her doctor simply, "I used to be fat." Klein was an eighth grader with a weight problem. It was a problem at school, where the boys called her "Moose," and it was a problem at home, where her father reminded her, "No one likes fat girls." After many frustrating sessions with a nutritionist known as the fat doctor of Roslyn Heights, Long Island, Klein's parents enrolled her for a summer at fat camp. Determined to return to school thin and popular, without her "lard arms" and "puckered ham," Stephanie embarked on a memorable journey that would shape more than just her body. It would shape her life. In the ever-shifting terrain between fat and thin, adulthood and childhood, cellulite and starvation, Klein shares the cutting details of what it truly feels like to be an overweight child, from the stinging taunts of classmates, to the off-color remarks of her own father, to her thin mother's compulsive dissatisfaction with her own body. Calling upon her childhood diary entries, Klein reveals her deepest thoughts and feelings from that turbulent, hopeful time, baring her soul and making her heartache palpable. 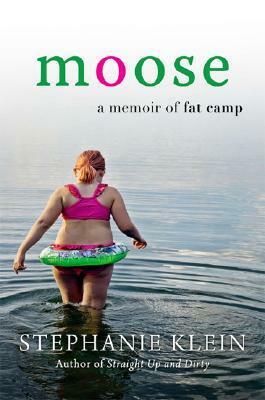 Whether Klein is describing her life as a chubby adolescent camper—getting weighed on a meat scale, petting past curfew, and "chunky dunking" in the lake—or what it's like now as a fit mother, having one-sided conversations with her newborn twins about the therapy they'll one day need, this hilarious yet grippingly vulnerable book will remind you what it was like to feel like an outsider, to desperately seek the right outfit, the right slang, the best comeback, or whatever that unattainable something was that would finally make you fit in.